This article focus to Define and Discuss on Securities Broker. The broker works with clients, which may possibly be individuals, pension funds, or other institutions to make trades stocks, mutual funds, as well as bonds. 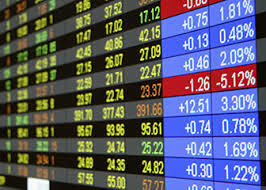 For his services, the securities broker receives a commission based on the amount of the financial transaction. A full service securities broker works with clients to see how much they have offered to invest and what their goals and needs tend to be. Securities brokers are often active in the IPO, or initial public offering, of a new company or the one that has heretofore been held.